David Roe-1 was born in 1642 in Flushing, Queens, New York. He died in 1707 in Flushing, New York, USA. He married Mary. David Roe, immigrant ancestor of one branch of the Roe family in the United States. He was a early settler in the Flushing(Long Island) New York area , where he is mentioned in the "Tax" or 'Rate List" of 1675. The year which David Roe became a resident of the town is unknown , but it is assumed 1666. His wife Mary was living in 1698 when the New York Provincial Census was taken, but she is not mentioned in his Will, dated December 26, 1702. He was a carpenter and farmer. He was considered to be among the "well to do citizens" of Flushing owning lands, farm stock, carpenter tools and two slaves (Sam and Hannah). He died before July 12 1707 when his will was proved. David was probably the brother of John Roe of Brookhaven, Long Island , who also named his sons John and Nathaniel and daughters Elizabeth and Mary. It is not believed that David Roe was a member of the Society of Friends it was likely he was in sympathy of their views and it is believed that he David helped in the building of their meeting house which is still in use today. (Friends/Quaker Meeting House Flushing Long Island). While the exact location of David Roe's home/land is unknown, the following deeds listed in Albex Lobel's "Deed's of Queens County" describe the land being bounded on one side or other by lands of David Roe. The first one listed A-43 transfers land to the upland of Tewes Neck which is a old designation for College Point N.Y. on the west side of Powell's Cove. The other transfers draw the assumption that his lands where north of Flushing and east of College Point. B1-306: 1695/96 Richard Widlay late deceased to John Griffin. William Hallet Esqr of Newtown. Also several old deeds found in the Register's office refer to "Roe's Cove", clearly indicating the small bay or inlet shown on all modern maps as Powell's Cove. This indicates that one or more individuals of the Roe family owned land adjacent to the Cove in the earlier days and the named changed as land passed to the Powell family in 1786. Also it is believed that a newspaper article that appeared in the evening Flushing Journal on November 19, 1923 where remains of 2 white settlers and 12 Indians were unearthed in Flushing, that the remains of one of the white settlers were in fact those of David Roe. David was placed in a unmarked grave on his property and these remains were in fact unearthed on the site of the old Roe homestead. Ref: David Roe of Flushing L.I. N.Y. by Clarance A. Torrey, Genealogical Society of Utah. (LDS Church). John Roe, B: 1672 in Flushing, Queens, New York, D: 12 Mar 1711 in Gloucester Twp, Gloucester, NJ, M: Grace Hedger, 01 Sep 1702 in Long Island, Queens, NY. Elizabeth Roe, B: 1688, D: 04 Dec 1699. Nathaniel Roe, B: 1670 in Flushing, New York, D: 25 May 1726 in Flushing, New York. John Roe-2(David-1) was born in 1672 in Flushing, Queens, New York. He died on 12 Mar 1711 in Gloucester Twp, Gloucester, NJ. He married Grace Hedger on 01 Sep 1702 in Long Island, Queens, NY.She was born in 1676 in New Jersey. John Roe son of David Roe of Flushing, NY bought land in Gloucester County, N.J., Oct 1, 1696, and another tract, Oct 5, 1696; removed to New Jersey before March 1, 1967-8, when he is mentioned as a resident of Gloucester County. April 2, 1710, when his wife Grace was baptized to the First Presbyterian Church of Philadelphia. She is called Grace Roe wife of John of Cohanzy, from which it appears that he then resided in Salem County, NJ. He returned to Gloucester Township, Gloucester Co., NJ, before August 10, 1711, when his will was made. He died before Oct. 9, 1711, when the inventory of his personal estate was taken. The name of John Roe's first wife is unknown. His second wife was Grace (...) Ward, widow of William Ward of Upton, Gloucester County, NJ. The second marriage took place between Sept. 1, 1702 and April 2, 1710. The widow of John Roe lived in Evesham Township, Burlington County, NJ for a number of years, but returned to Gloucester County before her death. She died intestate before January 25, 1758, the date of her probate. Children mentioned in John Roe's will: John, b. about 1694; m. Elizabeth ? (Sikes or Sykes? ); Children - Benjamin; Deborah; Susanna; Uriah; Henry, b. 1705; ;m. Hannah Cheesman. John Roe, in his will, August 10, 1711, named his trusted friend John Hedger as one of his executors. The John Hedger mentioned by David Roe appears to have been the grandson of the John Hedger who was living in 1711. There was a Hedger family at Flushing at an early date. These records seem to indicate that one of John Roe's wives was a Hedger or related to the Hedger family. Source: Charles Alton Torrey. 1926. DAVID ROE OF FLUSHING, LONG ISLAND AND SOME OF HIS DESCENDANTS: A HISTORY OF SIX GENERATIONS. Henry Roe, B: 1705 in New Jersey, D: 31 Jan 1750, M: Hannah Cheesman, 16 Feb 1729 in Gloucester, New Jersey. Henry Roe-3(John-2, David-1) was born in 1705 in New Jersey. He died on 31 Jan 1750. He married Hannah Cheesman on 16 Feb 1729 in Gloucester, New Jersey.She was born in 1709. She died in 1772 in Philadelphia, Pennsylvania. Uriah Roe, B: 04 Jun 1745, D: 12 Apr 1812, M: Johanna Humphries, 1769 in Pennsylvania. Hannah Roe, B: 1743, M: George Burden, 1769. Uriah Roe-4(Henry-3, John-2, David-1) was born on 04 Jun 1745. He died on 12 Apr 1812. He married Johanna Humphries in 1769 in Pennsylvania.She was born in 1744. Samuel Roe, B: 11 Apr 1800 in Pennsylvania[1, 2], D: 01 Oct 1859 in Darby, Delaware, Pennsylvania. Samuel Roe-5(Uriah-4, Henry-3, John-2, David-1)[1, 2, 3] was born on 11 Apr 1800 in Pennsylvania[1, 2]. He died on 01 Oct 1859 in Darby, Delaware, Pennsylvania. He married Elizabeth Tribet, daughter of Samuel Tribet and Catherine Stroup. She was born in 1805. She died in 1874. 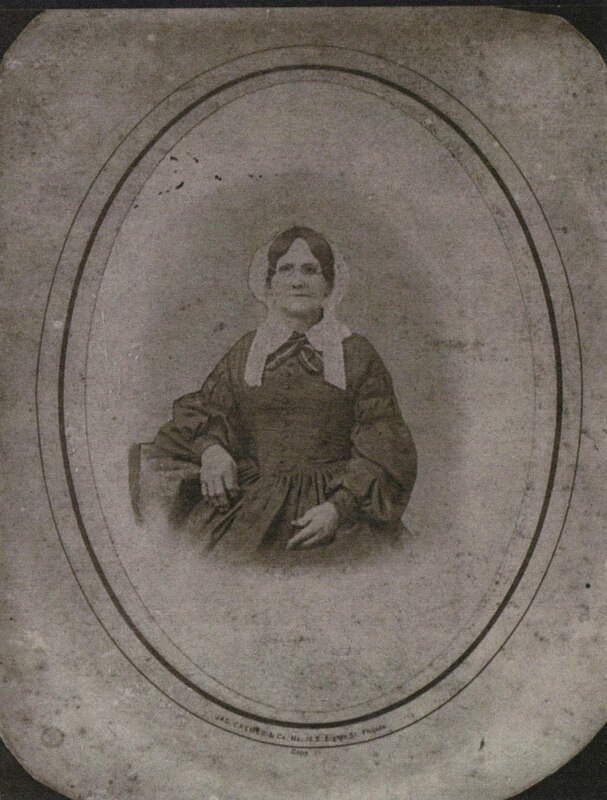 February 28th, Eliza Roe, wife of te late Samuel Roe, of Darby, in the 66th year of her age. She died in Jesus. The relatives and friends of the family are respectfully invited to attend her funeral from the residence of her son-in law, Charles Stringfellow, parker street, below Second, Chester, on Saturday moring, at 10 o'clock, to proceed to Mt. Zion Cemetery, Darby. Mary Ann Brooks Roe, B: 14 Oct 1838 in Darby, Delaware, Pennsylvania, D: 21 Nov 1904 in Chester, Pennsylvania. 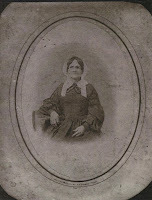 Catharine Roe, B: 1822 in Pennsylvania, USA, D: Dec 1904 in Pennsylvania, USA. Samuel R Roe, B: Apr 1833 in Darby, Delaware, Pennsylvania. Catharine Roe-6(Samuel-5, Uriah-4, Henry-3, John-2, David-1) was born in 1822 in Pennsylvania, USA. She died in Dec 1904 in Pennsylvania, USA. She married William Sweeny, son of Elizabeth Derickson. He was born in 1819 in Milford, Kent, Delaware[5, 6]. He died on 09 Jul 1873 in Pennsylvania. His father came from Ireland in the time of the Irish rebellion in 1798. He was a Catholic, but Catharine Roe was Protstant and raised their children as Protestant. John R. Sweeny, B: 1855 in Pennsylvania. Charles Roe Sweeny Sr., B: 10 Mar 1842 in Darby, Pennsylvania[8, 9, 10, 11, 12], D: 19 Jan 1934 in Chester, Pennsylvania, M: Sara Ann Blizzard, 09 Jul 1865 in Chester, Delaware, Pennsylvania. Harry Sweeny, B: 1858 in Pennsylvania, D: 1936. Ellen E. Sweeny, B: 1847 in Pennsylvania. Samuel R. Sweeny, B: Sep 1849 in Pennsylvania, D: Maryland.